Home→Physmatics→Interstellar/intergalactic Physmatics→LOG#043. Tachyons and SR (I). ← LOG#042. Pulley with variable mass. “(…)Suppose that someon studying the distribution of population on the Hindustan Peninsula cockshuredly believes that there are no poeple north of the Himalayas, because nobody ca pass throught the mountain ranges! That would be an absurd conclusion. The inhabitants of Central Asia have been born there; they are not obliged to be born in India and tehn cross the mountain ranges. The same can be said about superluminal particles(…)” This is a quote by George Sudharhan. I had the honour to meet George Sudarshan ( his full name is Ennackal Chandy George Sudarshan, http://en.wikipedia.org/wiki/Sudarshan,_E._C._George) some years ago, in Jaca (Huesca), during the Sudarshanfest celebrating his 75th birthday. I also met some really cool people like Susumo Okubo ( yes, the man behind the Gell-Mann-Okubo mass formula for hadrons-see http://en.wikipedia.org/wiki/Gell-Mann-Okubo_mass_formula! ). I really enjoy knowing (japanese) scientists when they are really gentle and generous. Mr. Okubo indeed gave me a copy of his wonderful book about non-associative stuff. By the other hand, Indian scientists are also fascinating because they use to be people very uncommon and some of them, like Ramanujan in Mathematics, own exceptional gifts and talents. 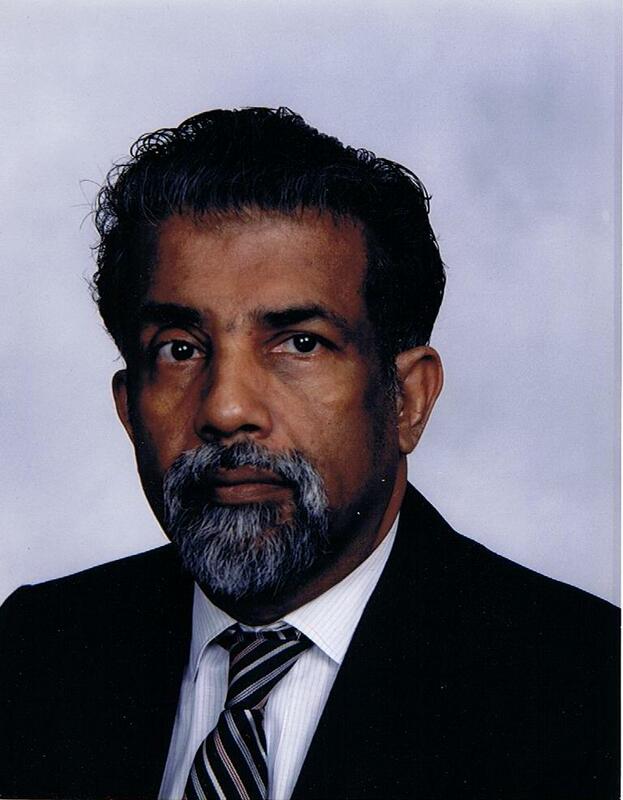 George Sudarshan has made contributions in many branches of Physics. He originally proposed as well the V-A nature of the electroweak interactions that recover the Fermi theory of weak interactions in the low energy limit. In addition to this, he has developed in the field of optical coherence the so-called Sudarhsan-Glauber representation in Quantum Optics, he invented the theory of the Quantum Zeno effect, he has worked in open quantum systems, the relationship spin-statistics in general QFT contexts, and he is one of the defenders of the existence of tachyons, via an interpretation of relativity including those faster than light particles created by Feinberg and studied by E. Recami, Feinberg, M.Pavsic, Gregory Benford (yes, the writter and physicist/astronomer) and other physicists. His works about relativity with tachyons are usually labelled under the name “metarelativity”. I would like to dedicate him this post. According to wikipedia, a tachyon or tachyonic particle is a hypothetical particle that, a priori, always moves faster than light. The word comes from the Greek word: ταχύς or tachys, meaning “swift, quick, fast, rapid”, and was coined by Gerald Feinbergin a 1967 paper.Feinberg proposed that tachyonic particles could be quanta of a quantum field with negative squared mass. However, it was soon realized that excitations of such imaginary mass fields do not in fact propagate faster than light,but instead represent an instability known as tachyon condensation. Nevertheless, they are still commonly known as “tachyons”, and have come to play an important role in modern physics, for instance, their role in string theory is still being studied. I will not discuss about advanced topics like tachyon condensation in this post, I will expect to do it in the near future some day. Superluminality and velocity are subtle concepts in SR. I have to discuss more about (apparent) superluminality in SR, but the goal of this post is somewhat more modest. I am going to introduce you tachyonic particles and some of its curious features. This formula blows up at v=c for any finite value of the rest mass m! Indeed, we can say that particles slower than light, also called “tardyons”, have that energy-mass relation, while for photons ( or luxons), we do know that and they are massless particles. What happens if we forget our prejudices and we allow for v>c velocities saving the SR formula for mass-energy? Well, it is easy to realize that E becomes an imaginary number! Imaginary numbers are complex numbers without real part squaring a negative value. For instance, the solution to the equation is the imaginary number unit . Don’t forget that complex numbers are more general numbers verifying , with magnitude . The prize is that we have imaginary position and time coordinates ( or imaginary boosts, if you prefer that idea). This equation shows that a tachyonic imaginary mass and a imaginary gamma factor are equivalent, when they are multiplied, to the real valued common relativistic expression for the relativistic mass. So, we could handle tachyons with imaginary masses and imaginary gamma factors, at least in principle, in the same operational way we handle normal particles in SR, excepting for the sign inside the square root and the strange inertial properties of those tachyonic particles. 1st. decreases as v increases! That is, tachyons are less energetic and so “more stable” when they have higher velocities. This behaviour is very different from the common inertial properties of normal matter. Unlike ordinary particles, the speed of a tachyon increases as its energy decreases. 2nd. A bradyon, also known as a tardyon or ittyon, is a particle that travels slower than light. The term “bradyon”, from Greek word βραδύς (bradys, “slow”), was coined to contrast with the name of the tachyon. Just as bradyons are forbidden to break the light-speed barrier, so too are tachyons forbidden from slowing down to below c, because infinite energy is required to reach the barrier from either above or below. 3rd. Einstein, Tolman and others noted that special relativity allowing for tachyons/superluminal transmissions would imply that they could be used to send signals backwards in time. This tool or use of tachyon pulses is called the tachyonic antitelephone device. An electric charged tachyon would loose energy as Cherenkov radiation just as ordinary charged particles do when they exceed the local speed of light in a medium. A charged tachyon traveling in a vacuum therefore undergoes a constant proper time acceleration and, by necessity, its wordline forms a hyperbola in space-time. Even an electrically neutral tachyon would be expected to loose energy via gravitational Cherenkov radiation, at least in theory, because it has a gravitational mass, and therefore increase in speed as it travels, as described above. However, we have not detected gravitational Cherenkov radiation, as far as I know. If the tachyon interacts with any other particles, it can also radiate Cherenkov energy into those particles. Neutrinos interact with the other particles of the Standard Model and, recently, Andrew Cohen and Sheldon Glashow used this to argue that the neutrino anomaly seen by the OPERA experiment could not be explained by making neutrinos propagate faster than light. Indeed, we do know that neutrino have a non-zero REAL mass from neutrino oscillation experiments. then they would experience “antigravitation”/antigravity. You can observe and “deduce” that the gravitational force between two tachyons with masses separated by a distance of 1m. Then, the gravitational pull between those tachyons would be repulsive, since the sign of the gravitational Newton force would be positive instead of negative! Is it not amazing? Yes, you can wonder about the Dark Energy enigma, mysterious stuff out there, but there are quantum problems related with “superluminal” tachyons. I will discuss them in the future, I promise. So, it is not easy at all to associate a tachyonic field/mass origin to the Dark Energy. And of course, this hypothesis of antigravitating tachyons face problems when we think about what an imaginary gravitational force between a tachyon and a tardyon would mean. It shows that the mysteries of tachyons are yet not completely understood, and they are connected with the theory of scalar fields and the phenomenon, previously commented, of tachyon condensation. Let me know if you understand them better! A second post about tachyons and metarelativity is coming, but before that, you will have to wait for a while. I have other topics in my current agenda to be published, previously, to more tachyonic posts. I suppose I am not being beamed with tachyons from the future. Let the tachyons be with you ;)!